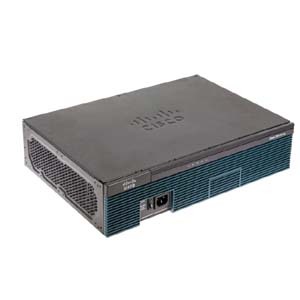 The Cisco 2911 Integrated Services Router (ISR) delivers highly secure data, voice, video, and application service. The modular design of the router provides maximum flexibility, allowing you to configure your router to meet evolving needs. The router offer features such as hardware-based virtual private network (VPN) encryption acceleration, intrusion-protection and firewall functions, and optional integrated call processing and voice mail.